With its plans to bring gigabit broadband to Kansas City, Kansas, Google (s goog) is changing the fate of that city, but it’s also setting out to build a new generation of Internet Service Provider, one designed for the type of world where connectivity drives innovation, and is an irrefutable aspect of our lives. Milo Medin, the head of Google’s fiber efforts, explained his goal is nothing short of causing a revolution — a revolution that may spread to other towns. “As I said, we’re still having conversations with other markets, and will try to build out in other areas in [Kansas City],” Medin said. So maybe Austin, Texas — which was passed over — shouldn’t lose hope yet? Milo Medin at the Google Fiber announcement. At GigaOM, we get the idea that people will always need more bandwidth, but exactly how Google plans to deliver it is still not something Medin is willing to discuss. He declined to explain what vendors Google will use, or what type of fiber network Google will build, but he did say that in 70 percent of Kansas City, Google will be able to string fiber using utility poles. This will lower costs, because it means fewer streets will have to be dug up. The other 30 percent of fiber needed will be placed underground, and will also take advantage of existing conduit that in some areas, extends all the way to people’s homes. So instead of digging up streets, the fiber can be threaded through the conduit for much less. Because this is Google, cheap and optimized are the name of the game. The existing conduit, the utility pole access and other things the city granted Google (such as on-site inspectors) will cut the cost of laying fiber significantly. Medin credits Kansas City’s existing infrastructure, streamlined government rules and general business friendliness with some of the reasons Google chose the city. Medin is essentially trying to work backward from an ideal cost (he won’t share it) and trying to build and operate a network that can run profitably while allowing customers to pay this ideal monthly price. “We looked at it and said, ‘What do we have to do to make a service that has a good take rate?’ because if only one percent of the residents subscribe, then I’d consider that a failure,” Medin said. “I have to say, ‘What can I afford to charge?’ and work the cost backward to support an architecture to drive the costs for this.” He pointed out Chattanooga, Tenn., which offers a gigabit network, charges people $350 for access to those speeds, but at that price, Google likely wouldn’t see the acceptance rate it wants to see. He adds that Google has managed to build out a huge infrastructure that supports services such as YouTube with only a relatively small number of people actually clicking on the ads that fuel most of Google’s revenue. Those clicks add up to billions, but his point is that Google sweats the small stuff when it comes to costs and delivering speed for less. Google’s existing infrastructure is one reason it will be able to support its fiber project; most backbone providers would charge an arm and a leg for providing access back to the Internet backbone for multiple gigabit connections. 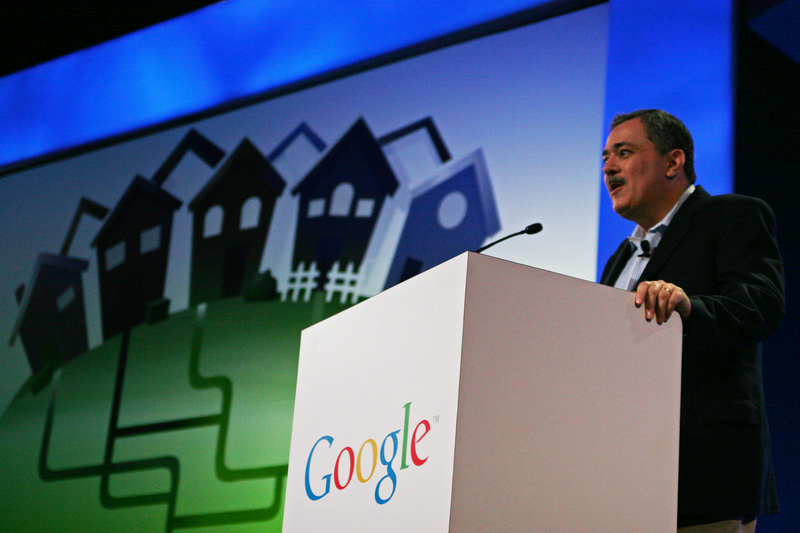 Medin says Google has already built or contracted for those connections on its own network and doesn’t pay what an ISP or provider might otherwise charge. That’s an essential link in getting gigabit broadband for homes that is “accessible” from a price standpoint. Medin says one of the ways Google achieves this efficiency is by building what it needs or making do with cheaper alternatives instead of building a network like a telco or thinking in terms of multi-thousand-dollar gear. That could be the scariest aspect of this whole project for ISPs: watching Google build out a network that can deliver gigabit speeds at accessible prices and then operate such a network profitably. It would blow ISP arguments about the price of bandwidth out of the water. Those arguments are currently leading ISPs to enforce caps on broadband and complain about services such as Netflix. So if Google can show ISPs a new model for offering residential bandwidth for a reasonable cost, then perhaps it could soon have the same influence on broadband costs and architecture as it has had in scaled-out computing. We’ll know soon enough. Medin says construction will begin in the fourth quarter of this year and Google should begin offering service early next year. As for the three-month delay in notifying a city, Medin confesses that the response to Google’s announcement last February that it wanted to build a fiber network was so amazing that the search giant wasn’t prepared for the onslaught of applications. At least it proves his point: People do have an insatiable need for faster broadband. In terms of cost, I think everyone always seems to forget about legacy systems. It’s alot like comparing new gleaming city metro rail systems to the NYC subway system (which has been in operation for over 100 years). What is is NYC supposed to do with it’s existing subway system? shut it down, dispose of it and build a new system from the ground up so it can these newer systems in newer cities? Just like those new gleaming metro light rail systems, Google is starting from a position of advantage, it is starting with a clean slate. Most ISPs have billions of dollars of legacy systems in place in for decades….it is not a simple argument of just doing what Google does. > that all ISPs are evil, greedy, and stupid? Have you SEEN our ISPs? And have you any idea what the rest of the first world gets? And no, I don’t mean Middle of Nowhere, USA, I’m talking comparing dense urban areas in the US to their counterparts overseas. We have only one group of greedy bastards to blame for this–Comcast, AT&T, Time Warner Cable, Cox, and Verizon. The same guys who think they should not only be paid by their customers for this sh***y service, but also by the content providers!! Personally I can’t stand Google, but if they can make a big enough dent in this entrenched greedfest to actually change things, then all the power to them. You don’t need a revolutionary secret sauce when greed is the only force stifling innovation in this country. Best comment I’ve read this year! This could work a lot like Chrome. It doesn’t have to ever become a dominant player, it just has to scare the dominant players enough to force them to move forward when they don’t want to. That’s what I think will happen, but if Google can show municipalities or even huge bandwidth users how to create lower-cost networks, then it can push costs lower and drive big ISPs to behave. We are having a major debate here in OZ, about the benefits of fibre to the node. Very similar to G’s rollout in KC. I cannot wait for Google to roll out its Service, so we here in Australia, can see the benefits.